Discovering that you've lost data without backing it up can be heart-stopping, but it isn't necessarily the end of the world. With the best free backup software and a little patience, there's a good chance that you'll be able to restore your precious data – whether it's an individual file or an entire partition. Perhaps most importantly, you will probably be able to do it for free rather than having to pay a small fortune to call in the experts. It's important to install a data recovery tool now, before you've lost any files; installing one after the event risks overwriting the data you've lost. One of the best things about Recuva is the wealth of ways to use it: manual scanning, wizard-driven scanning, and via the context menu. For anyone who feels as though they need a little help using the software, the wizard is on hand to provide guidance, but there is also the option of taking manual control of the scanning and recovery process. The scan can be customized to look in particular locations, or for particular types of files, and Recuva uses a traffic light guide to how likely it is that you'll be able to recover an item intact. You also have the option of right clicking a folder or the Recycle Bin if you know you have deleted a file from a particular location. It's all very easy, and the results speak for themselves. Upgrading to Recuva Professional adds the ability to work with virtual hard drives, access to premium support, and automatic software updates. These are nice additions, but the free version of Recuva will be plenty for most users. When it comes to ease of use, it's hard to beat Wise Data Recovery. Although this free data recover software doesn't have a wizard-led interface, there are no complicated configuration settings to worry about either. Tracking down recoverable data is a simple matter of selecting the drive you want to check and clicking 'Scan'. Alternatively, you can use keywords to search for recoverable files so you don’t have to wade through quite so many results. Whichever route you choose, recoverable data is presented in an Explorer-like tree structure that makes it easy to tell where it was originally stored. 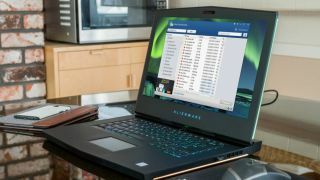 Like all the best free data recovery software, Wise Data Recovery uses a traffic light system to indicate the health of files (and therefore how likely it is that you'll be able to recover them intact, and there's a file preview feature so you can identify files that have been detected. You can recover individual files, or entire folders at once, but selecting numerous files in several locations means performing several operations. PC Inspector File Recovery goes further than many data recovery tools in that it will detect partitions that have been lost, even if the boot sector or file system has been damaged or deleted. This could be a real life-saver in an emergency, potentially helping you get data back even if your hard drive is not visible within Windows. Beginners might find the terminology and design of PC Inspector File Recovery intimidating, and even some more advanced users may find the workflow a little confusing to start with. Take some time to learn your way around it, and you'll find a powerful data recovery program – but one that seems to get better results with FAT and FAT32 drives. Finding recoverable data with EaseUS Data Recovery Wizard Free is very simple: select a drive or folder and wait for a few minutes while it completes its scan. You can browse through the recoverable data using a Windows Explorer style interface and filter them by type or opt to search for specific files. Data recovery is effective, but the Deep Scan option is very slow, so you'll need to be patient. The installation of this software is a mixed experience. The installer, importantly, advises not to install to the same drive that you want to recover data from because this could overwrite data and render it unrecoverable. It also, sadly, tries to enrol you in a customer experience improvement program, without explaining what this entails. It's worth noting that the free version only allows for the recovery of up to 2GB of data, so it's not going to be suitable for all circumstances, but it will be enough to get you out of most sticky situations. Presented as a pair of tools rather than a single integrated solution, TestDisk and PhotoRec together can recover data from both lost partitions and files. TestDisk takes care of the partition side of things. The fact that it's a command line tool with no graphical interface might off-putting at first. If can set this to one side though, there's help on hand to guide you through the process of working with your drives. TestDisk offers support for so many file systems, it should cater for most eventualities. PhotoRec is the component for recovering files. It's available with a command lint interface, but unlike TestDisk there's also a GUI for less confident users. It may not be as intuitive as some of the other recovery software in this listing, but it's effective. PhotoRec is cross-platform and can be run as a portable app from a USB stick, which means you don't have to install it on your PC and risk accidentally overwriting the data you want to recover.